Since ‘lobbing’ my hair shorter earlier this summer, one of my favorite styles to rock are cute beachy waves, like I spent an entire day at the beach soaking up the salty sea air. 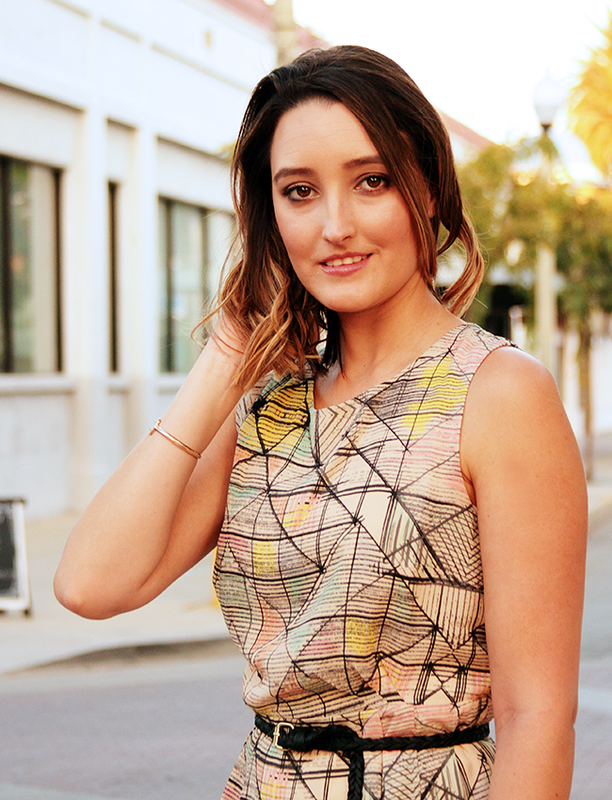 Just because summer is over, doesn’t mean I can’t rock this hairstyle into fall and beyond. 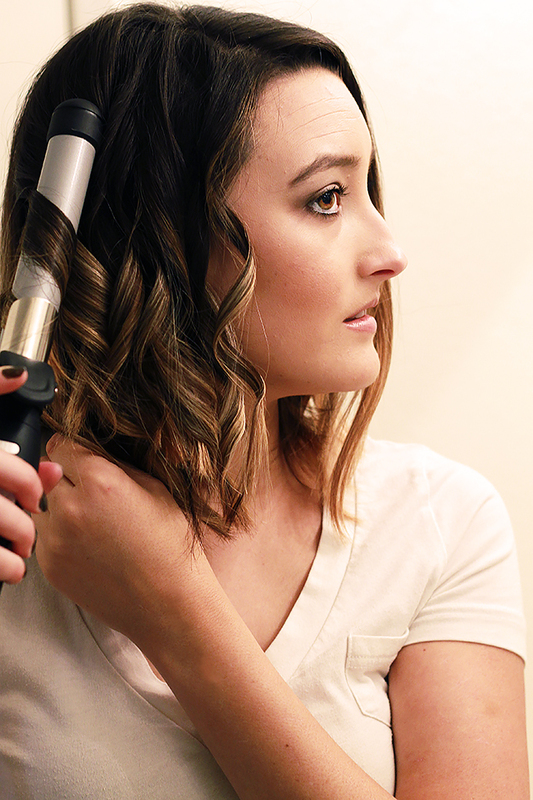 While there’s many techniques and tools you can use to create the look, I prefer using the Sarah Potempa Beachwaver S1, a neat hair tool available at Ulta Beauty that makes getting gorgeous beach waves a cinch! 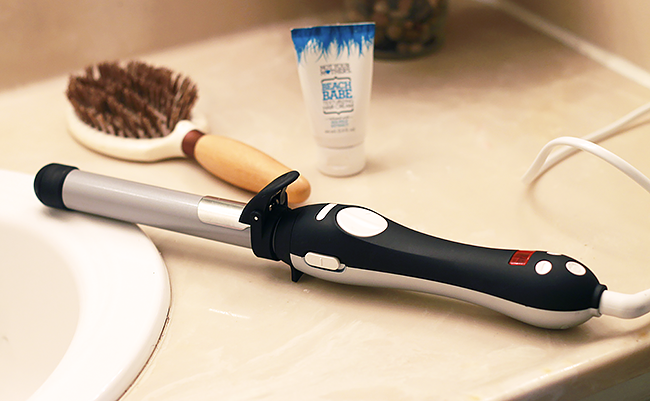 The Beachwaver S1 is a rotating ceramic iron that creates waves and curls using dual rotation. The iron temperature ranges from 290° to 410°, with buttons that allow you to set it, and also has an automatic off switch just in case you accidentally leave it on. Does anyone else have those ‘OMG-did-I-turn-off-the-iron?! ?’ moments after you leave the house? It’s easy to use the iron and takes no time to get the hang of using it… the results are worth it! Start by sectioning your hair from the bottom and securing the rest on top with a clip. 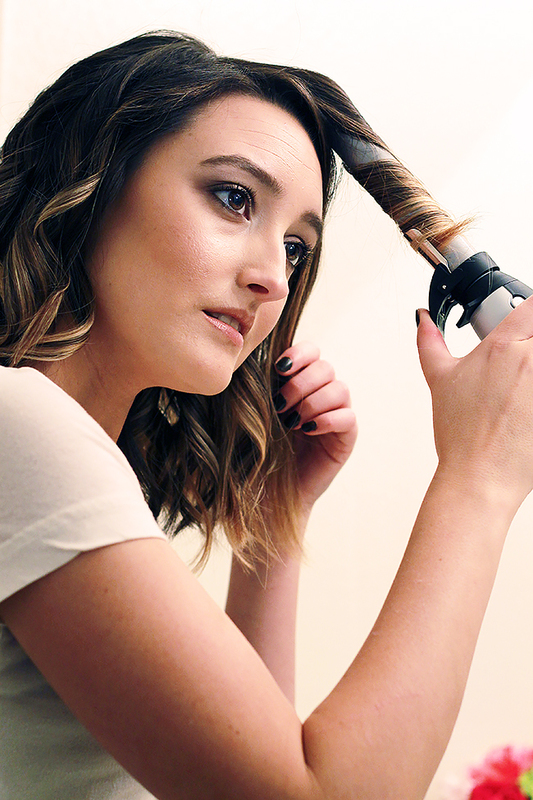 Take a 1″ section of hair and clamp the bottom using the Beachwaver. I like to leave 1 -1.5″ of the ends out of the clamp to create looser waves and a more modern look. 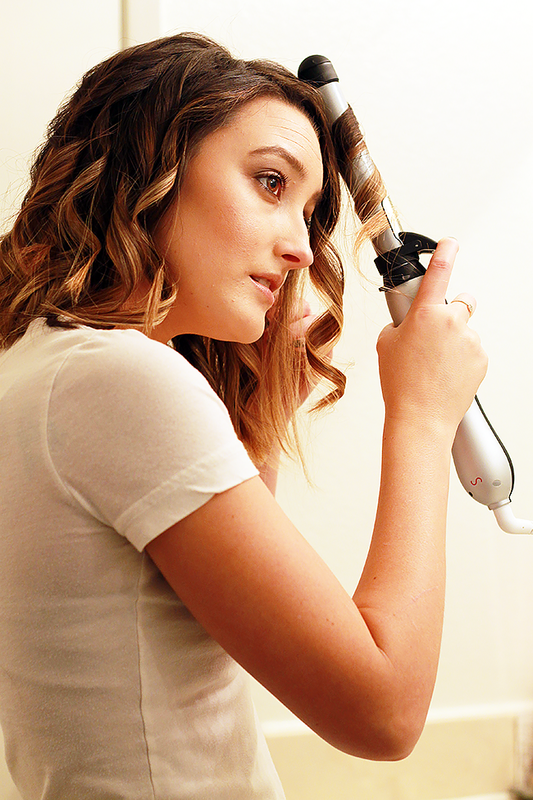 Hold the wand vertically and press the arrow pointing away from your face to start the rotation– the Beachwaver does all the curl work for you- and release the arrow to stop. You can change the speed of the rotation by switching from Fast/Slow. Take the next section and hold the opposite arrow. Continue alternating waves on one side before moving on to the next. Release the next section and continue curling using the same alternating technique until finished. I then comb my fingers through to break up the waves– you want the twists to look relaxed and natural, not tightly curled. Finish the look by applying a sea salt spray or texturizing cream to help get the piece-y, natural look, I prefer to use Not Your Mother’s Beach Babe Texturizing Cream as it holds my waves throughout the day while keeping the look soft and natural as if I just spent the day at the beach. 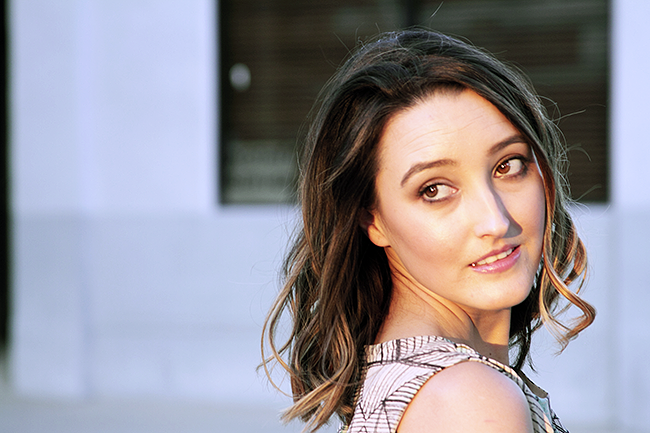 Ready to rock beachy waves this fall? 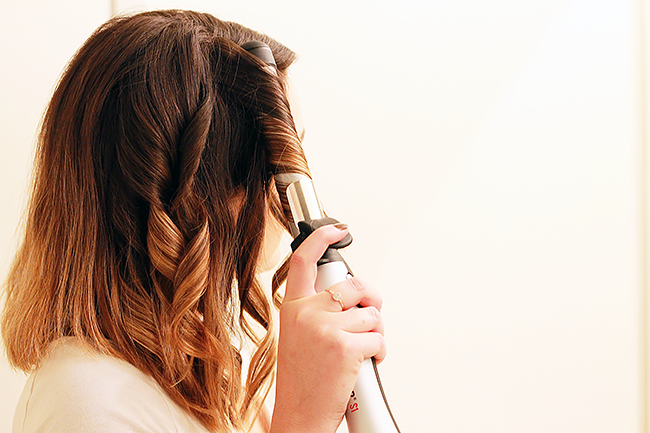 Head to Ulta Beauty to pick up your own Sarah Potempa Beachwaver S1. *I was provided the Sarah Potempa Beachwaver S1 for review purposes, however all opinions are my own. No monetary compensation has been provided.